What a wonderful surprise to see my World Map print featured on the Condé Nast Traveler website today! 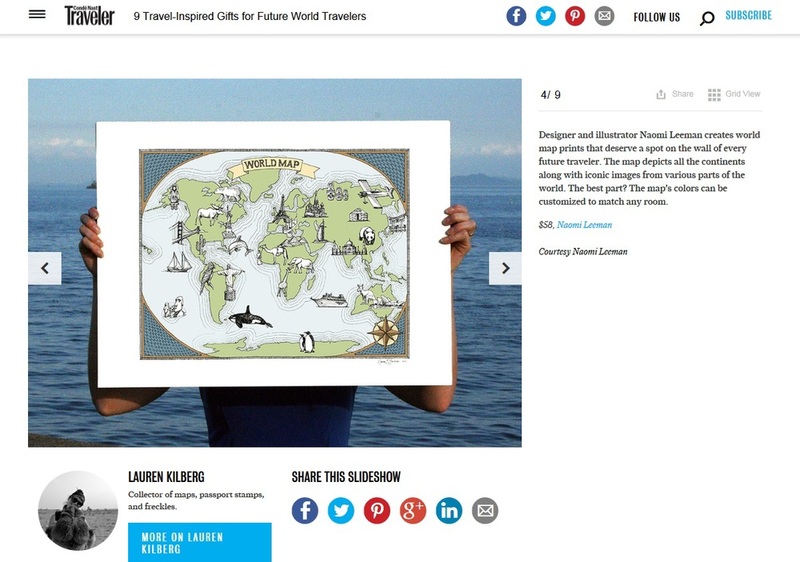 My world map was included as part of a list of "9 Travel-Inspired Gifts for Future World Travelers". Who's the aspiring young adventurer on your list this Christmas? Click the image below to see the full gift guide curated by Lauren Kilberg.